of the young Sun. Centuries of hot climate made a large part of the water evaporate. Gases from its atmosphere escaped into space. Most organisms were extinguished. The earth was affected by these heat-disasters too. The worst happened in Permian. 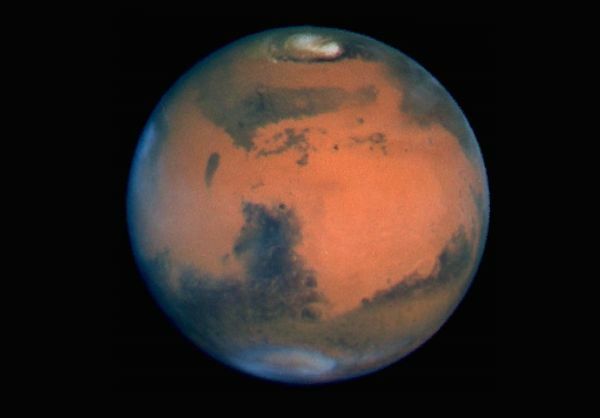 The earth was larger than Mars and had some protection by its magnetic field. Flora and fauna were not extinguished completely. species survived. They became the ancestors for the evolution after Permian. support to the content of the other videos after this one. Even Venus contained water and was habitable in Precambrian time.